The global sports industry is a market in which individuals, businesses, and organizations produce, promote, or organize any activity or business focused on sports. The exponential growth of the sports industry in recent years has created new legal issues that affect the viability of many sports businesses and brands. The Center for Law, Economics, and Finance is holding its first Sports Law & Entrepreneurship Conference to bring together industry leaders, academic experts, government regulators, and legal scholars to discuss the future of the sports industry and what it means for the law. This event is co-sponsored by Syracuse University David B. Falk College of Sport and Human Dynamics and the George Washington University Falk Academy of Management and Entrepreneurship (FAME). What do trademarks, copyrights, media rights, broadcasting rights, publicity rights, marketing, and advertising all have in common? Each are common intellectual property tools that sports agents and attorneys utilize to create, protect, and grow their clients brands. Strategic brand management allows consumers to easily identify and distinguish products, perceive the economic value associated with the product in question, and build large and diverse fan bases. Essentially, a successful branding and marketing campaign are crucial to creating economically viable businesses in the current crowded sports market. This panel will focus on the relationship between intellectual property law and sports, the tools to creating a successful brand, and why it is so crucial for professional athletes to protect their brands. Michael Duda, Founder and Managing Partner, Bullish Inc. Lunch will be provided for pickup on the second floor of the Auditorium. Students from GW Law will direct attendees to seating areas in several nearby locations. After lunch, please return to the Auditorium for the second half of the program. Is it your dream to work with athletes in the future? Do you want to combine the worlds of sports and business in your career? Do you see yourself as the next Jerry McGuire? Come to this interactive panel and learn how these current agents and sports management professionals got their start in the sports industry and what they do on a daily basis. There will be time for questions at the end so please come prepared. The past few years have seen a windfall of litigation surround the legality of gaming in professional sports. The reason for this uptick stems from the changing landscape of sports betting. Sports betting was traditionally something done at horse races, casinos, or bets between friends. The expansion of the Internet and smart phones provided a new platform for sports betting to take shape. Daily fantasy leagues, sports betting websites, and apps for smart phones have emerged allowing users to wager their money on numerous games or events from the comfort of their home. This panel will focus on the changing landscape of sports betting as it transitions to a more online enterprise as well as the legality of online sports betting. In all of the fanfare that MoneyBall rightfully receives, focusing on the use of analytics on the player evaluation and performance side of the sports industry, it is sometimes forgotten that big data and analytics has also provided a revolution on the business side for sports teams and leagues. From ticket pricing and attendance modeling, to sales strategies and CRM, to evaluating trends in television and media usage, sports analytics has opened a new frontier in the industry. This panel focuses on the innovations that have occurred in relation to understanding consumer behavior, providing better experiences at the stadium for fans, and finding ways to maximize profits for sports teams and leagues, the evolution of sports business analytics to its current methods and research, and will speculate on where big data and sports analytics are heading in the future of the industry. The sport industry is always in a constant state of change but perhaps new frontiers have never closed in faster than with the merger of social media, video gaming, fantasy sport (i.e., fantasy leagues) and augmented/virtual reality. If famous commentary from the past suggested the “Revolution will be Televised”, today’s sport participant and fan knows that a revolution is taking place and happening on multiple fronts and varied platforms. This afternoon’s panel will take advantage of three experts who are active in articulating just what is happening in professional and participatory sport. This panel is likely to suggest a number of provocative and future-facing opinions that may make traditionalists in the audience uncomfortable. Please join us for a reception on the second floor of the Auditorium. William Poster is a seasoned business executive and entrepreneur with an outstanding track record of creating, growing, and harvesting business opportunities. His accomplishments include being the Founder, Chairman, CEO and sole shareholder of multiple companies spanning five continents and over 50 countries. He is known publicly as the former President of General Dynamics-CSCC, a leading edge international communications and technology company that he founded and sold to General Dynamics Corporation (NYSE: GD). In addition to serving on numerous corporate boards, his less public endeavors include projects related to real estate, defense, education, energy, microfinance, and sports, media & entertainment. Mr. Poster's educational background includes a business degree and a law degree from The University of Michigan and The George Washington University, respectively. Benjamin Alamar is the Director of Analytics at ESPN Inc. He has also worked as a Professor of Sport Management at Menlo College, sports analytics consultant, and researcher, and is the author of Sports Analytics: A Guide for Coaches, Managers, and Other Decision Makers. He has consulted with a variety of teams in the NFL and NBA, including five seasons with the Oklahoma City Thunder as well as with a variety of companies in sports analytics such as Krossover Intelligence Inc and StatDNA. He has published numerous research studies in sports analytics and has written for outlets such as AllthingsD, Analytics Magazine, and the Wall Street Journal. Additionally, he founded the Journal of Quantitative Analysis in Sports, the first peer-reviewed academic journal for research in sports analytics. Rick Burton is the David B. Falk Professor of Sport Management at Syracuse University and SU’s Faculty Athletics Representative to the ACC and NCAA. Prior to joining the Syracuse faculty in 2009, Burton served as the Chief Marketing Officer of the U.S. Olympic Committee for the 2008 Summer Olympics in Beijing and was Commissioner of the Australian National Basketball League from 2003-07. Burton is the co-author of two sports books (Global Sport Marketing and Sports Business Unplugged) and sole author of the World War II spy novel The Darkest Mission. He earned his B.S. in Public Communications from Syracuse University and his MBA from Marquette University. Don Carson is the Co-Founder and Chief Executive Officer of Carvechi Technology Group. Mr. Carson specializes in bringing companies into the eyes of funding organizations. Prior to joining Mr. Carson, he was circling the globe on many occasions with Carvechi President, Scott Jay Ringle, working on joint projects with companies like IBM’s Tivoli Software division, Compuware, BayNetworks and 3Com. In addition, Mr. Carson branched off into the multi-billion dollar staffing industry to gain market share for mega corporations like Robert Half International and Spherion. Don also founded and gained VC funding for Carvechi and 724 Solutions (formerly TANTAU Software). Mr. Carson received his BA and MBA at Boise State University with a discipline in Marketing. Danielle Cantor, Executive Vice President and Partner of F.A.M.E., is an NBPA Certified Agent, representing current and retired NBA talent. Together with partner David Falk, Danielle negotiates multi-million-dollar basketball contracts for a number of NBA players. Cantor has also negotiated a myriad of national and international endorsement deals for the company’s basketball clients. As the Vice President of Marketing for the company most well known for its creative marketing partnerships, Cantor is instrumental in leading market research, creating proposals, facilitating negotiations and the implementing/executing these renown athlete-endorsement partnerships. Prior to David Falk’s re-launch of FAME in 2007, Cantor formerly served the same role for SFX Basketball and for the Talent Marketing Group for SFX Sports. During her tenure at SFX, Jeweler facilitated the seamless integration between its Washington D.C., Los Angeles and Belgrade offices’ marketing departments and oversaw marketing efforts for all NBA clients. Dennis Deninger is a three-time Emmy-award winner who spent 25 years at ESPN leading production teams in studio, remote events, and digital video before joining Syracuse University’s Department of Sport Management. Working with his students, Deninger has directed four documentary films exploring sports history and the impact of sport on American society. He was the founding director of the sports communications graduate program at SU’s Newhouse School of Public Communications. He is the author of the book, Sports on Television: The How and Why Behind What You See. Joining the Center for Sport Leadership at VCU in August 2009, Dr. Brendan Dwyer is the director of research and distance learning. His research interests center around sport consumer behavior with a distinct focus on the media consumption habits of fantasy sport participants and behavioral patterns of ticket purchasers. Dr. Dwyer also has given over 45 national and international presentations at professional conferences and 2009, he won the NASSM Student Research Competition for his dissertation titled: Divided Loyalty? An Analysis of Fantasy Football Involvement and Attitudinal Loyalty to Individual NFL Teams. In addition to teaching and research, Dr. Dwyer has worked with a number of sport organizations including, but not limited to, the Fantasy Sports Trade Association, the U.S. Olympic Committee, the Washington Redskins, and the Denver Nuggets. He currently serves on four editorial boards and is an Associate Editor for Sport Marketing Quarterly. In addition to a bachelor's degree in economics, Dr. Dwyer holds a master's degree and doctorate in sport administration. Michael Duda is the co-founder and managing partner of Bullish Inc., an accelerator agency and consumer investment-driven investment company. Duda has spent 25 years in the world of Madison Avenue, including 13 at Deutsch Inc. as partner, chief corporate strategy officer and helped turn around WPP-backed Johannes Leonardo as CEO. Duda was named to the exclusive Crain’s 40 Under 40 Award of business in 2005. Previously he worked as Co-Founder/Managing Partner of Consigliere Brand Capital, an accelerator agency and consumer investment-driven investment company based in Brooklyn and Greenwich, CT. Consigliere has worked with established companies such as Under Armour, Chobani, Boston Beer, and GNC and invested in early-stage companies such as Birchbox, Warby Parker, Harry’s, and Casper Mattress. Duda is a graduate of St. John Fisher College and is on the Board of Directors of the 119-year old Advertising Club of New York City and Spark Motion. David Falk, the founder of Falk Associates Management Enterprises (FAME), has long been recognized as one of the sports industry’s leading figures and most talented innovators. During a 40 year career, he has represented the top players in NBA history and has negotiated record-breaking contracts for his clients, both on and off the court. He began his career representing professional athletes with ProServ in 1974, rising to Vice Chairman of the company. He left ProServ in 1992 and established FAME to provide specialized and personal representation services to the company’s elite clientele of NBA superstars. In 1998, Falk sold FAME to SFX Entertainment, serving on SFX’s Board of Directors and in the Office of the Chairman. Falk stepped down as Chairman in 2001 and in 2007, he re-launched FAME as an ultra boutique agency for a small but elite clientele. Mr. Falk holds a J.D. with honors from the George Washington University Law School and a BA in economics from Syracuse University. In 2010, Mr. Falk endowed the David B. Falk College of Sport and Human Dynamics at Syracuse University and, most recently, he endowed the Falk Academy of Management and Entrepreneurship at the National Law Center of George Washington University. Joey Gawrysiak has presented his scholarship at numerous regional and national conferences such as the College Sport Research Institute, Academy of Business Disciplines, the National Baseball Hall of Fame, and the Music and Gaming Educational Symposium at the Music and Gaming Festival. He has received best in session awards for his work as well as grants to continue his scholarship since joining Shenandoah University. Gawrysiak has also been invited to serve as a guest lecturer at universities and on a cruise line to speak about his scholarship. Shenandoah has given Gawrysiak the opportunity to lead trips to countries such as Albania and Brazil for educational and cultural enrichment. Michael D. Hausfeld, one of the country’s top civil litigators, is the Chairman of Hausfeld Global Litigation Solutions. His career has included some of the largest and most successful class actions in the fields of human rights, discrimination and antitrust law. Michael has a long record of successful litigation in the antitrust field, on behalf of individuals and classes, in cases involving monopolization, tie-ins, exclusive dealings and price fixing. Most recently, in the landmark O’Bannon v. NCAA litigation, Michael represented a class of current and former Division I men's basketball and FBS football players against the NCAA and its member institutions, based on rules foreclosing athletes from receiving compensation for the use of their names, images, and likenesses. At the conclusion of a three-week bench trial, the Court determined that the NCAA had violated the antitrust laws and issued a permanent injunction as requested by the plaintiffs. Mark Levin is the Founder and CEO of GiftConnect, a revolutionary digital advertising platform that outperforms ordinary banner ads. He manages the company's strategy, business relationships and finances. Levin is also a Principal and Founding Partner of NextGen LED, LLC, a company dedicated to advancing energy-savings solutions for real estate and other energy intensive industries through the securing, financing and implementation of LED products. Over the last 20 years, Levin's entrepreneurial experience has led to closing $500 million in transactions, focused on e-commerce products, digital advertising, alternative energy and new technologies. Included in these ventures are Levin's ownership of Foggles, Inc., the largest producer of pilot training glasses in the United States and his partnership in Maki Shop, an original, fast casual restaurant concept featuring unique Japanese hand rolls. David H. Mincberg is the Director of Scouting for the Memphis Grizzlies (National Basketball Association). Mr. Mincberg has a law degree from the University of California, Berkeley and worked on the acquisitions of both the Grizzlies and D.C. United (Major League Soccer) before serving as the in-house counsel for both organizations. Mincberg has also contributed to the field of sports law through his writing. He has previously supervised law students as part of Harvard Law's clinical externship program and this Spring will teach sports law at the UC Irvine School of Law. Sandy Montag, a 30-year industry veteran, is president and CEO of The Montag Group, which was launched as a consulting, advising, content development, and media strategy company focused in the world of sports, entertainment, and lifestyle. Montag also represents a variety of clients with IMG over multiple divisions, including broadcasting, speakers, literary, coaching, and talent marketing. Included among those are John Madden, Bob Costas, Mary Carillo, James Brown, Jim Nantz, Erin Andrews, Peyton Manning, Mike Tirico, Ming Tsai, Bob Knight, and Tom Coughlin. Montag spent most of his professional career at IMG, joining the company in 1985. He started as an assistant to John Madden, traveling the country with Madden by train and on the first “Madden Cruiser.” He went on to run IMG’s clients operations for 10 years. He developed and launched Ari Fleischer Sports Communications with Ari Fleischer, former press secretary to President George W. Bush, after Fleischer left the White House in 2003. 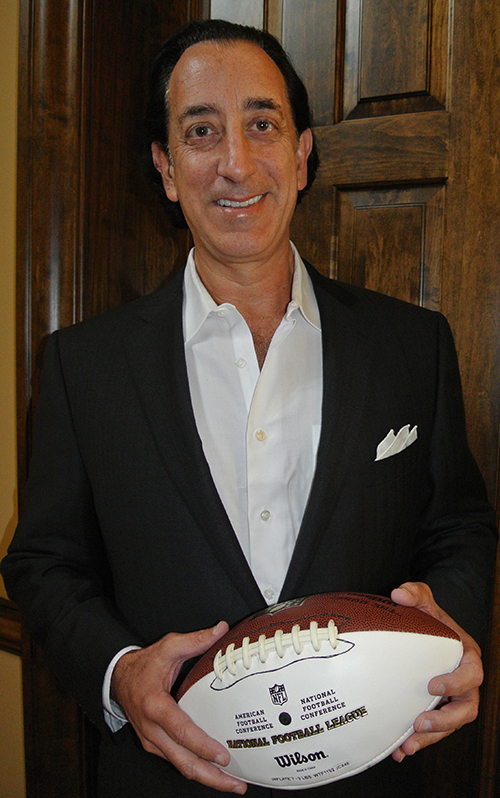 Jeff Moorad is a sports agent and former CEO and minority owner of the Arizona Diamondbacks and San Diego Padres. In 1983, Mr. Moorad founded Moorad Sports Management, where he began specializing in athlete representation with his main focus on Major League Baseball. In 1985, he and Leigh Steinberg formed a partnership and the duo negotiated more than $3 billion in athlete contracts throughout their 18 years together. In 2004, Mr. Moorad became an owner and CEO of the Diamondbacks. While with Arizona, Mr. Moorad was a General Partner, Chief Executive Officer, the spokesman for the Diamondbacks’ ownership group, and oversaw the day-to-day operations of the franchise. In February 2009, Moorad and a California-based group reached an agreement to purchase 100% ownership of the Padres and served as Vice-Chairman and Chief Executive Officer of the club. He currently serves on the Board of Directors at Translational Genomics Research Institute and is a Vice President for the Muscular Dystrophy Association. He formerly served on the Board of Oakley until the sale of the company to Italian manufacturer, Luxottica, and Citizen Sports Network until its sale to Yahoo! Blake D. Morant is the Dean of The George Washington University Law School and Robert Kramer Research Professor of Law. He assumed the deanship on September 1, 2014, after having served seven years as Dean of the Wake Forest University School of Law. Dean Morant is one of the nation’s best known and respected legal educators and scholars. He has served as President-elect of the Association of American Law Schools and President in 2015, and he regularly speaks across the country and abroad on legal education, diversity, and topics relating to his scholarly interests. Among his many professional honors, Dean Morant was named the John R. Kramer Outstanding Law Dean by Equal Justice Works, was twice recognized by National Jurist magazine as one of the most influential people in legal education, and received the Chief Justice John Marshall Lifetime Achievement Award in 2012 from the Judge Advocates Association. Dean Morant earned a BA with high distinction and Phi Beta Kappa honors and a JD, both from the University of Virginia. In addition, he received an honorary Doctor of Laws degree from Pepperdine University in 2010. Dr. Rodney Paul is a professor in the Department of Sport Management at Syracuse University. He has led the effort in establishing the recently-approved undergraduate program in Sport Analytics at SU, which begins in the 2016-17 academic year. Paul is a sports economist who earned his Ph.D. in Applied Economics from Clemson University. He is the author of more than 100 academic articles mainly related to the economics and finance of sports. His research includes the modeling of attendance and television ratings, dynamic pricing in sports, market efficiency, and applications of information embedded in sports betting market prices. His research has been presented at academic and sports-related conferences around the world, including the MIT/Sloan Sports Analytics Conference and the SABR Analytics Conference. His research has been featured in ESPN the Magazine, Sabres Gamenight, NPR, and many other television, radio, newspaper, and Internet outlets. Ian Peacock is the Founder and CEO of Bait, a peer-to-peer sports betting platform. Originally from Baltimore, MD, Peacock attended the University of South Carolina to study Advertising and Business. After graduating in 2015, Peacock moved to Chicago, IL to pursue a job in marketing. Once there, he teamed up with two local developers and founded the tech company in 2016. While working on their beta version, Peacock and his team were invited to exhibit at TechWeek Chicago. The platform received much attention and has since been featured in ChicagoInno and EGR Magazine. Bait wrapped up it's private beta at the end of summer and will go live to the App Store for the 2016 Football Season. A.J. Perez is the breaking news reporter at USA TODAY Sports, drawing on his nearly two decades of experience as a journalist where he’s covered everything from criminal trials to Super Bowls to Congress. Before returning to USA TODAY in 2015, Perez worked as a national writer for FOXSports.com and AOL Sports, launched the NHL blog for CBSSports.com and was an investigative sports writer for NJ.com. Perez is also certified personal trainer and owns AJP Training in Sterling, Va., a facility that specializes sports conditioning. Sara Rayme is the senior vice president of public affairs at the American Gaming Association (AGA). In this role, she oversees the AGA communications, government relations, ally development, research and campaign-style public affairs initiatives. Ms. Rayme has nearly 10 years of experience within the gaming industry, having previously spent the last eight years rising the ranks at MGM Resorts International. She was featured on Global Gaming Business Magazine’s “25 People to Watch” list in 2015. Prior to joining the AGA, Rayme was a vice president and spearheaded the lobbying effort and largest gaming referendum in the country that led to the successful awarding of licensure to MGM National Harbor. She won “Ballot Initiative Campaign of the Year” for her work in 2013 from the American Association of Political Consultants. In addition, Rayme has also worked at various trade associations in Washington, D.C., and as the director of finance for the successful campaign to elect Nevada Attorney General Catherine Cortez Masto. Ms. Rayme is a graduate of Ohio University. Jeffrey Rubin is the founder and CEO of SIDEARM Sports, a company he founded in 2001. In addition, he is an Associate Professor of Practice at Syracuse University's iSchool. Rubin is passionate about sports, technology and equally passionate about educating and mentoring our future leaders. Headed by Rubin, the SIDEARM Staff is comprised of nearly 60 designers, developers, project managers, and customer support members, many of whom previously worked in college athletics. SIDEARM Sports works with more than 900 college athletic programs across the United States and Canada, including Syracuse, Texas, Kansas, Oregon, Alabama, and UCLA. In general terms SIDEARM Sports develops websites, however, R&D efforts focus on Statistics, Social Media, Video Delivery, and Mobile consumption. Rubin serves on Syracuse University Athletics Director John Wildhack’s external affairs committee, is active with the Jim & Juli Boeheim foundation, and has served on many boards within Central New York. Dr. Shane Sanders is an associate professor of Sport Management at Syracuse University’s Falk College. With published research in the fields of behavioral sports economics, applied econometrics, applied game theory and the political economy, Sanders joined SU in 2016 from Western Illinois University, where he was the Cecil P. McDonough Endowed Professor and associate professor of economics. He is associate editor of the Academy of Economics and Finance Journal Southern Business and Economic Journal. His research portfolio includes peer-reviewed journal articles in the Journal of Sport Economics, Economics Letters, Public Choice, Southern Economic Journal, and European Journal of Political Economy. Sanders completed a Ph.D. in economics (with field specializations in econometrics and applied game theory) from Kansas State University in 2007. In 2002, he completed a BA in economics with a minor in mathematics from Indiana University. His honors and awards include the Excellence in Multicultural Teaching as well as Excellence in Research/Scholarly Activities, both from Western Illinois University. His professional affiliations include the Society for Social Choice and Welfare, Academy of Economics and Finance, and the Southern Economic Association. Michael D. Veley is the Rhonda S. Falk Endowed Professor of Sport Management at Syracuse University’s Falk College. His strategic vision has played an instrumental role in the development and growth of the Falk College’s undergraduate and graduate degrees in sport management—including its newly announced undergraduate degree in sport analytics—while elevating its Department of Sport Management to national prominence. Veley’s leadership and connections in the sports and event industries have created unique, ongoing experiential learning and faculty-student research partnerships with organizations such as the New York Yankees, AEG Worldwide, the National Baseball Hall of Fame, and the National Basketball Association Development League, among others. He spent nearly two decades working as a Division I athletic administrator at Cornell and Syracuse, including 10 years at SU, where he implemented marketing, communications and corporate sponsorship initiatives. He is an active leader throughout the local, state and national sport communities. John Wolohan is a professor of Sports Law in Syracuse University’s Department of Sport Management and an Adjunct Professor in the Syracuse University College of Law. Wolohan is one of the lead editors of the book “Law for Recreation and Sport Managers” as well as being a contributing author of the “Sports Law Report,” a monthly article that appears in Athletic Business. Wolohan, who is a member of the Massachusetts Bar Associations, received his B.A. from the University of Massachusetts Amherst, and his J.D. from Western New England University, School of Law.